On February 6, 1820, the first group of freed U.S. slaves to resettle in Africa departed from New York. 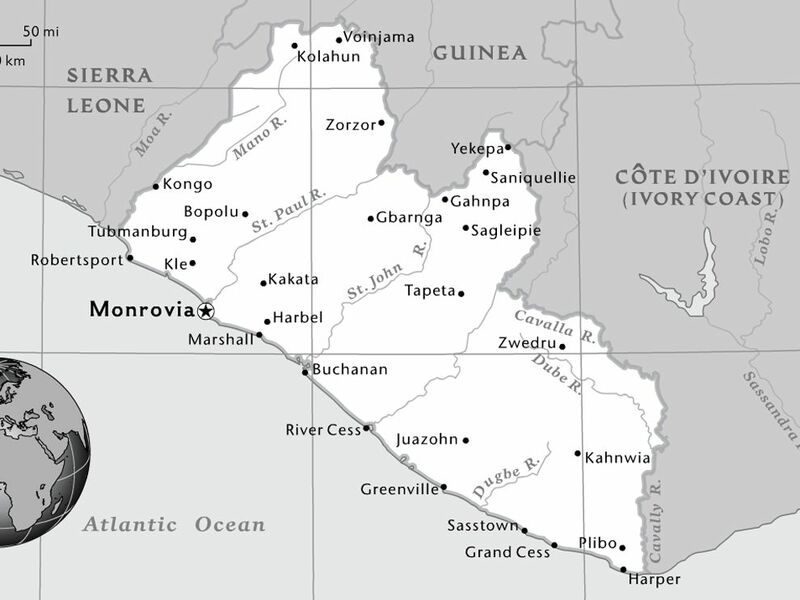 European and African Americas envisioned the West African region of "Liberia" as a home for former American slaves. African Americans began immigrating to the area in 1820. On February 6, 1820, the first group of freed U.S. slaves to resettle in Africa departed from New York. An organization called the American Colonization Society, with funding from Congress, had been established to return now-free slaves to the West African colony of Liberia. The slave trade had been abolished in the United States in 1808, though the practice of owning slaves and their children was still allowed in many states. People believed that newly free African Americans would experience greater freedom and opportunity “back” in Africa. However, there were problems. Though of African descent, many of these Americans had spent most or all of their lives in the U.S. They were used to their American lifestyles, which had little in common with Liberian communities. Of those born in Africa, few had memories of the tribe and land they were taken from. Even so, Liberia was probably not their ancestral home. To the thinking of the American Colonization Society, Africans simply came from Africa, so any land would do. However, Africa is a large continent, with hundreds of tribes spread across many different environments. Though most American slaves had come from West Africa, few were prepared to live in the tropics, or able to assimilate with local tribes. Despite this, over the next few decades, thousands of freed slaves were sent to Liberia. In 1847, it became the first independent nation in Africa. to wipe out or get rid of. to adopt the cultural traits of another group or community.